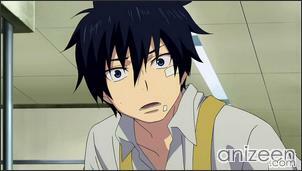 Rin Okumura is a teenager with a natural magnetism for troubles. 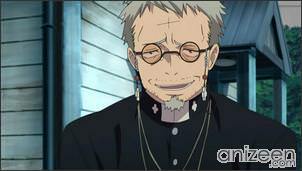 He is twin brother to Yukio and Priest Shiro Fujimoto takes care of him as a guardian. Unfortunately, no matter what he does, he never meets the expectations put on him. 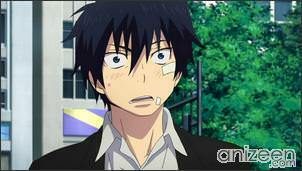 Yukio is an athletic guy and has good grades in school, while Rin struggles within everything he tries to do. 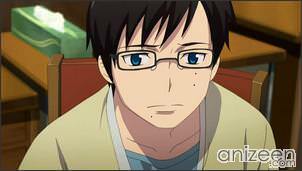 It’s been 15 years and now Yukio is set to move out and enter a prestigious high school. He is worried about his brother, who can’t maintain a job and is always fighting. 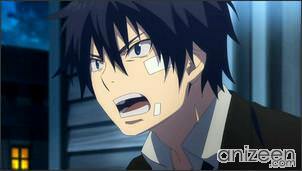 But Rin is not always at fault, sometimes he just gets really mad after seeing how cruel children can be. Fortunately for him, Rin has good friends in the abbey, and Priest Shiro, an Exorcist, is always there to lend an ear and give some advices. Now, Rin will try to figure out what to do with his own life, and at the same time will show his father, the Priest, that he can do things well by himself. 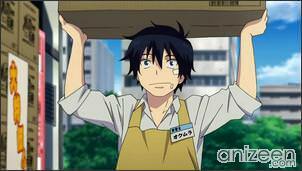 Rin is interviewed for a part time job, he works all day to show the manager that he can handle the duties, especially because he finished middle school and started working right away. After a long day, he seems to be of the likes of the manager, but just as he prepares to go home, something strange happens. He sees a little girl that is being molested by some kind of creature. Rin runs to help the little girl, but that causes a lot of wreck in the place he has just been hired. The blame goes to him, and he is fired because of the commotion. 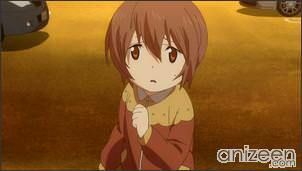 At home, he sees the little girl, Yui, once again, while his father talks to the Priest. Rin listens and asks Yui’s father to believe in her, that she is being harassed by strange creatures, and that those are for real. Rin will discover that his past and future are tied with a blue flame and that demons desire to take his life because he is Satan’s born son. 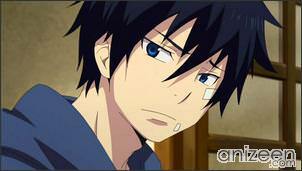 Rin Okumura is the son of Satan born from a human woman and is the inheritor of Satan’s powers. 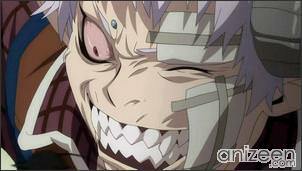 His powers were sealed at birth into the demon-slaying blade Kurikara, or Koumaken, by Mephisto Pheles, allowing him to live a normal human life for about 15 years. 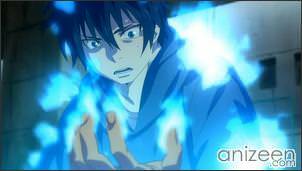 Rin became aware of his true identity after Kurikara could no longer seal the blue flames he inherited from Satan. 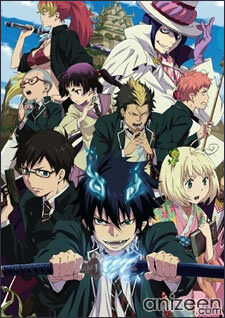 Ao no Exorcist (青の祓魔師) also known as Blue Exorcist, is a manga written and illustrated by Kazue Kato. The manga has been serialized in Jump Square magazine by Shueisha since April 2009. Originally the anime adaptation was scheduled to air on April 10, 2011, however due to the March 11, 2011 earthquake and tsunami the series’ broadcast was delayed until April 17, 2011. 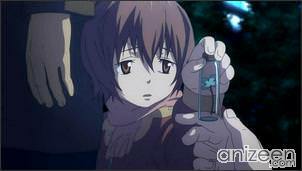 One of the better anime in Spring 2011. 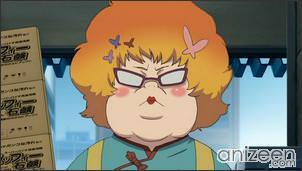 Definitely a must-see for shounen anime fans.